I know I never stop talking about the sheer wonderfulness of Australian contemporary YA, but I am genuinely astounded at the number of truly gorgeous novels written in this country for teenagers. Because of You by Pip Harry is one of them. It's a novel that focuses on the difficult and important topic of homelessness, and characters in terrible circumstances, but it's written in an incredibly thoughtful and uplifting and accessible way - I would highly recommend it to literally anyone aged twelve and over, and think it would be a terrific novel to study in schools. It's both really important and beautifully heartwarming, and puts friendship to the forefront, which I think we need more of in YA. If you would like to read some reviews that are far more articulate than I could ever be, you should check out the glowing reviews on Books+Publishing and the Readings website! 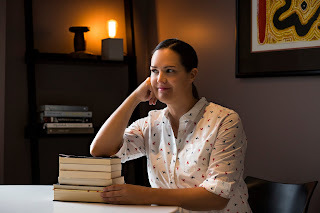 It was wonderful to have a chance to chat with Pip about her real-life inspiration and research that led to writing Because of You, her writing process, favourite novels and upcoming projects! Steph: Because of You explores homelessness in a very thoughtful and humanising way, and focuses both on characters who are homeless and characters who work with homeless people. What motivated you to write a novel focusing on homelessness, and what sort of research did you undertake? Pip: I was motivated to write a novel about homelessness as I spent three years as a volunteer with a creative writing program in a homeless shelter in Darlinghurst, Sydney. I would go each week to the shelter and meet all kinds of people in the homeless community – both people who were homeless or in government housing, or those volunteering or working with them to rebuild their lives. When the time came to write a novel that fictionalised my experiences, I knew I didn’t want to preach or be heavy handed in my depiction of what it’s like to be homeless, so I’m very happy to hear you found my exploration of the subject thoughtful! As further research, I also spent time at the Rough Edges drop in café in Darlinghurst. I met so many funny, interesting and intelligent homeless people during my volunteering and research, so I wanted to do them justice on the page. Pip: Thank you! It was a very emotional process to write Because of You. I found myself in tears while writing many scenes, having to go to places that were so bleak and tough for my characters. As I suffered from post-natal depression myself after the birth of my daughter, I could really relate to Tiny’s feelings of isolation and despair around new motherhood. To be honest, writing this book was so difficult that at the halfway point, I nearly abandoned the manuscript because I wasn’t sure I had what it took to finish the story. I’m so glad I didn’t! Steph: I interviewed you after Head of the River was released, and asked you about how the experience of writing a second novel differed from the first, so naturally now I have to ask what your experience was like writing Because of You! Was Book Three easier? How has your writing process changed and evolved? Do you feel like you’ve hit your stride? Pip: No! I wish Book Three was easier, but it was the same hard slog, with feelings of uncertainty and imposter syndrome throughout. Of my three books, Head of the River was the easiest to write, and Because of You was the hardest. Having said that, I think my writing process is now more experimental. I’m less afraid to try new things (like poetry, who knew?!) and stretch myself as a writer. I also found the structural editing easier and I could slash, chop and kill my darlings with much more certainty and confidence. 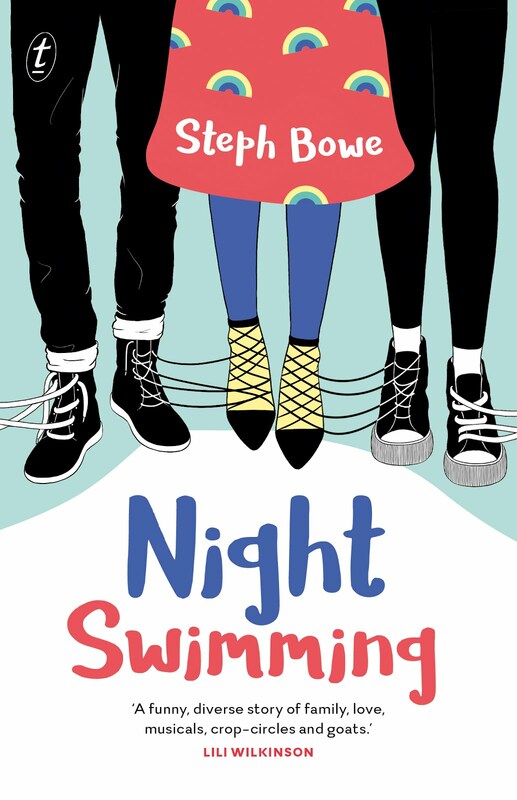 Steph: The novel is told from the first-person perspective of two characters, Tiny (who is living on the streets in the city, far away from her family) and Nola (who is volunteering so she can pass Year 12 at her private school). How did you establish distinct character voices? Do you have any advice for writers writing from multiple points-of-view? Pip: Although in some ways I wanted Tiny and Nola to sound similar (they are both 18-year-old girls after all) I also wanted there to be a distinction between their voices. Tiny speaks in a simpler language, with more slang. “Nah” instead of “No” for example and “get a feed” instead of “go out for dinner”. Nola is more formal and sophisticated. Writing from multiple POV’s it’s important to really know your characters inside out and to establish early on their individual speech patterns, slang, vocab and dialogues. This helps he reader switch between voices more easily. 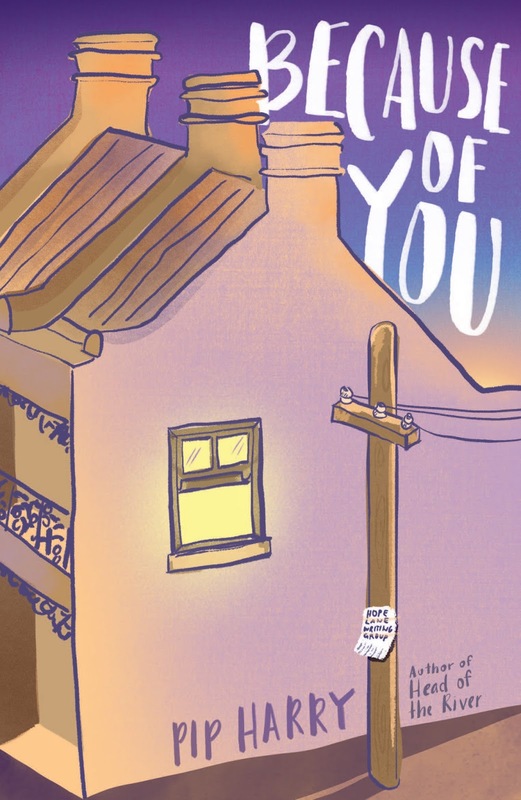 Steph: Something wonderful about Because of You is that it explores relevant real-world issues and contains beautiful messages about empathy without being didactic or talking down to teenage readers. Were you conscious of avoiding writing a moralistic or educational novel? Do you have any particular reader or audience in mind as you write? Pip: I was absolutely conscious of not talking down to my young adult readers. The issues contained in the book are complicated, confronting and multi-layered, but they’re more than capable of absorbing and exploring them. I try not to moralise or “educate” my readers. Instead, I present difficult issues from different angles, and allow the reader to make up their own minds as to how they feel as a result. I do think about my audience being aged from around 12 years, and keep that in mind in terms of language and content, but I also know adults find my work, too. 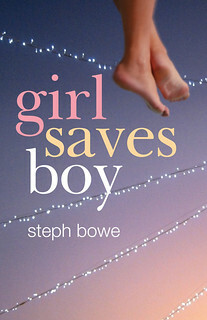 Steph: I love the back cover quote: ‘Books can save anyone. If they’re the right ones.’ Meredith, who speaks the line in the novel, runs a street library for the benefit of people like her son, who has passed away. Despite only appearing in a couple of scenes, she, like many other minor characters in the novel, is deftly and realistically drawn. How did you approach creating these characters, many of whom are affected by trauma and grief, and fleshing them out so authentically? Pip: I love that line too and I believe it with all my heart! Books are life-changing. Along with Meredith the book lady, there are lots of minor characters who make a big difference in Because of You, so each one had to be real and make an impression on readers. Fleshing out the smaller characters took time – to begin with they didn’t have backstories or depth, but in later drafting, I dug deeper to find out why they were important to the story. 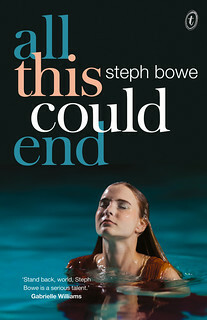 Steph: The transformative power of books is a major theme in the novel, and one that I (obviously!) very sincerely believe in. What were the books that were the most significant to you, as a teenager? And what do you read – and love – now? Pip: I read tons of Judy Blume, who influenced my honesty in my writing (she wasn’t afraid to really go there!) I also loved Playing Beatie Bow by Ruth Park, Homecoming by Cynthia Voight, Bridge to Terabithia by Catherine Paterson. Now, I voraciously read contemporary Australian YA, including your own funny and heartwarming Night Swimming and Cath Crowley’s gorgeous bookstore love story Words in Deep Blue. I’ve also fallen madly in love with verse novels, especially The Weight of Water and One by Sarah Crossan and Inside Out and Back Again by Thanhha Lai. Steph: Having now read Because of You, I am looking forward to the next Pip Harry novel (no pressure!) – are you working on anything new at the moment? You’re currently based in Singapore – is that influencing your writing? Pip: Lately I’ve been thinking about a story set in the steamy city of Singapore, but that’s just in my head! On the page, I have completed a verse novel for middle grade readers with the working title The Little Wave. I’m still negotiating a deal, but hope to have more news on its release soon! 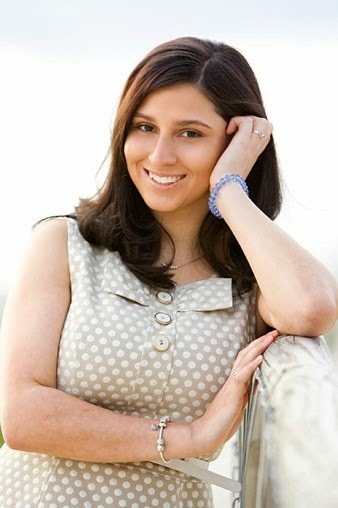 To find out more about Pip Harry, Because of You and her previous novels, visit Pip's website. 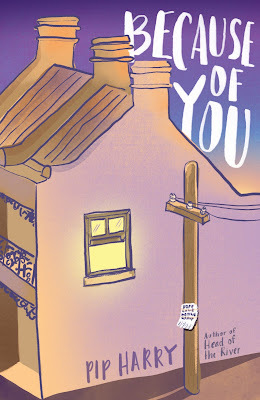 If you live in Melbourne, you should attend the book launch for Because of You! It's on September 2, as part of Melbourne Writers Festival. Find all the details here.